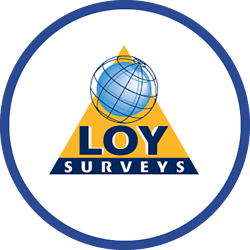 Loy Surveys are a recognised Chartered Land Surveyors who specialise in laser scanning, topographical surveys and building information modelling. Established since 1985 they have completed over 10,000 surveys throughout the UK and overseas for a diverse customer base. At Loy Surveys there are a number of lone working surveyors who operate remotely on sites nationwide, therefore posing a challenge to the organisation. Staff often work in isolated environments throughout the day and night making it vital for the company to have a safe plan in place to ensure the welfare and safety of their surveyors at all times. The organisation had an internal method in place originally that was creating issues with false alarms from missed text messages and calls which lead to possible deployment of emergency services when it was not required. This solution also proved to be intrusive and distracting when workers were on jobs. Loy Surveys therefore required a lone worker protection system which would address these key issues and offer the ability to track the locations of staff on a map and raise an alarm only when required. Loy Surveys implemented Crystal Ball’s MobileLWP solution in July 2013 following a brief trial period. After considering other lone worker protection alternatives the organisation specifically chose Crystal Ball due to the system being a downloadable app that was available on their BlackBerry handsets, panic alarm availability and location visibility whilst on sites. Implementing this application has allowed Loy Surveys to now be in control of their own monitoring sessions and ensure continuous safety and welfare of their surveyors. The implementation of Crystal Ball’s MobileLWP application means that surveyors are now monitored without the inconvenience of the old system. Furthermore with Crystal Ball, Loy Surveys now benefit from the accurate GPS location that is provided. This now makes it easier to locate their lone workers and monitor their locations at all times when working in remote and potentially unsafe conditions.